Malaria is a disease most commonly caused by a bite from a female Anopheles mosquito. The parasite that causes this disease is found in the saliva of the mosquito. When a person is bitten by an infected mosquito, the saliva makes its way into the bloodstream and then to the liver. Once the disease has made its way to the liver, it matures and reproduces. Early stages of malaria often feature high fever, moderate to severe chills, and prolific sweating caused by a falling body temperature. Other symptoms may include severe headache, muscle aches, vomiting, diarrhea, backache, a dry cough, and an enlarged spleen. If you have malaria, it may seem like you have the flu at first, because the symptoms are similar. Sometimes malaria may cause anemia or jaundice. The symptoms usually begin about 10 days after being bitten by an infected mosquito, but they can take as long as four weeks or up to a year to manifest; it all depends on the severity of the case and whether the parasite remains dormant. A parasite may remain dormant in someone’s liver for quite some time. 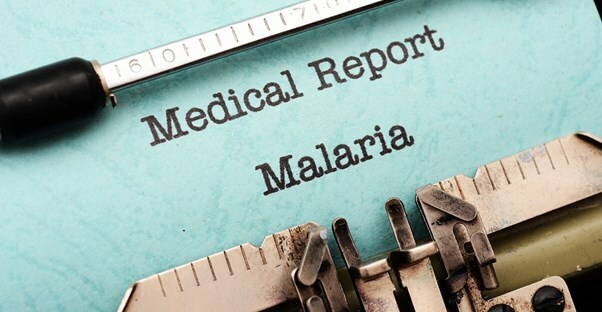 The result of a case of severe malaria is severe sickness that may include seizures and even a coma. There is also the possibility of death. Malaria has been found in 99 countries, but it is primarily found in tropical climates in which mosquitoes thrive. Seventeen countries account for 80% of malaria cases. Africa has the greatest risk, but Southeast Asia, South America, and other tropical areas are also a high threat of the disease. It is estimated that more than 3 billion people may be in danger of contacting malaria every year. Since malaria is found in red blood cells, an infected person can also give the disease to someone else via a transfusion, shared needle, or transplant. It is also possible for a pregnant mother to pass along the disease to her unborn infant. Malaria is considered curable if it is diagnosed and caught early enough. If you think you may have malaria, see a doctor or go to a hospital. Your doctor will have your blood checked for the disease. Medical treatments include chloroquine, quinine, and Coartem. If it isn’t a severe case, then it may be treated in an outpatient setting. However, people experiencing severe cases are hospitalized. If you are traveling to a country in which there is a higher risk for malaria, it is advised to take anti-malarial medications at least two weeks before going. While there, always wear protective clothing and use an insect repellent.